(also known as “church row”). Coming from either West or East you will drive into the Hermon Hill/Beeston Hill intersection and turn onto Rt. 83 South. Coming out of Christiansted on Rt. 70 going west, you will go straight at the intersection. Coming from West to East, you will take a sharp right at the intersection. The JCC is on the left about a quarter of a mile in. There is a large sign near the road. On the second and fourth Sundays of each month, September to May. For more information call 340-332-2850 or 704-458-7676. Our Minister: Reverend Qiyamah Rockman. 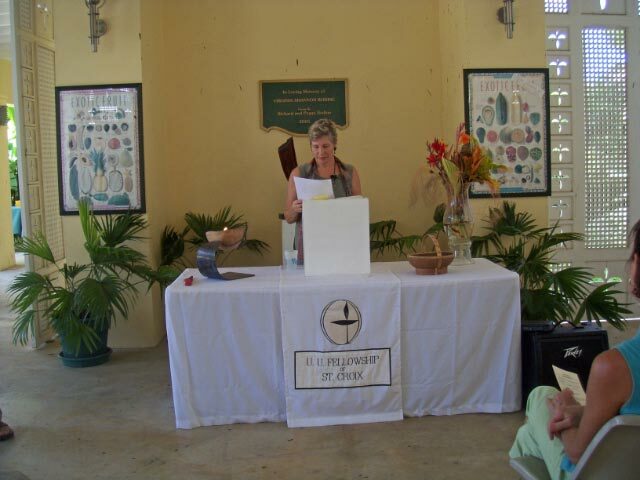 Reverend Qiyamah A. Rahman currently serves as minister at the Unitarian Universalist Fellowship of St. Croix (UUFSC). She is a retired social worker, passionate writer, and inspired community leader focused on building bridges between individuals across boundaries of faith traditions, culture, race, ethnicities, countries etc. 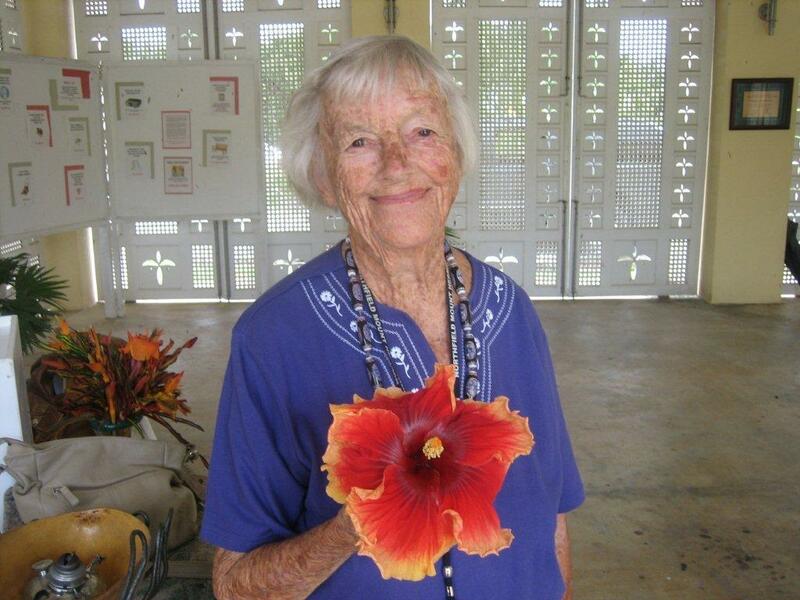 “I never thought I would go into parish ministry. I always saw myself as a community minister because of my activist history and social work background. Yet I feel like I have the best of both worlds”, she states. “My community work is an extension of my ministry. The parish ministry is a way to connect to a community of individuals that have chosen Unitarian Universalism as a path toward growth and development – as a way to change the world. As the minister I have covenanted with the community of Unitarian Universalists to companion with them on our journeys to live a life committed to justice, service and love. My role is to create worship experiences that provides a space that continually reminds members of the sacredness of their lives and the connection of their lives to others that prompts the desire to leaving a unique living legacy. Additionally, my role includes serving as resident theologian and to be there for members through life’s ups and downs. Our role together is to build community that mirrors the kind of world we are attempting to create and live into. We can ask no more of one another than to leave a legacy of caring compassionate human beings that lived full and rich lives while being in service to others and leaving the world a better place. Under the guidance of Shelli Brin-Olive, Sunday School is held at the same time as services. Our late member Marge Tonks, sadly missed.